Modern girls yearning for a regal wedding, come sit by us! You don’t need blue blood or centuries of tradition to create a day that’s extraordinary. Nor, as Kate Middleton proved, is staid style mandatory. Brides-to-be who are drawn to restrained splendor with a contemporary touch can make their majestic leanings known through lush, romantic details with touches of glamour and gold. 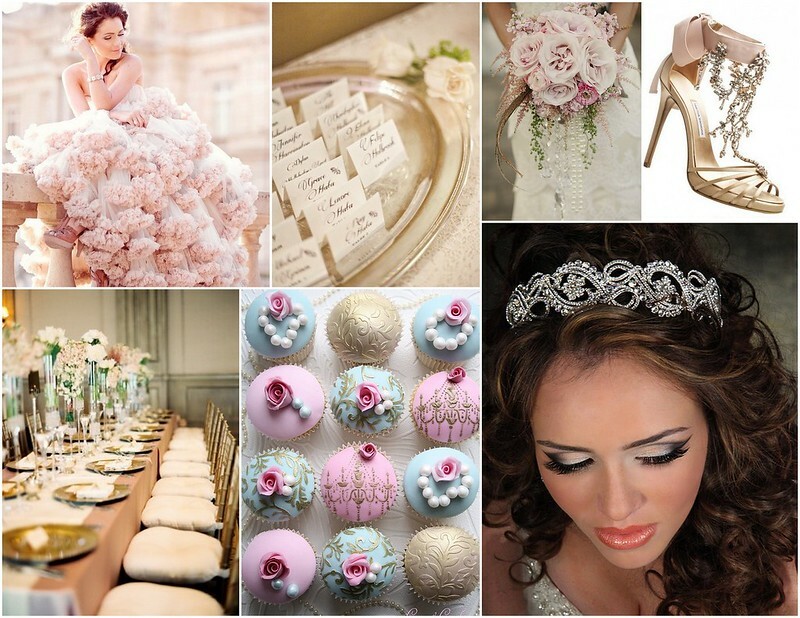 A full-skirted gown of the most delicate pink, Marie Antoinette-inspired cupcakes, calligraphed paperie, and a delicate, jewel-encrusted tiara all whisper of nobility. Envisioning something over-the-top regal with a modern spin? Start with lavish florals and candlelight. Then mix in a gown whose edgy shape is balanced by lush fabric and details, shoes Cinderella would never lose, a personal monogram, and a statement-making Swarovski headpiece that would be right at home among the Crown Jewels. 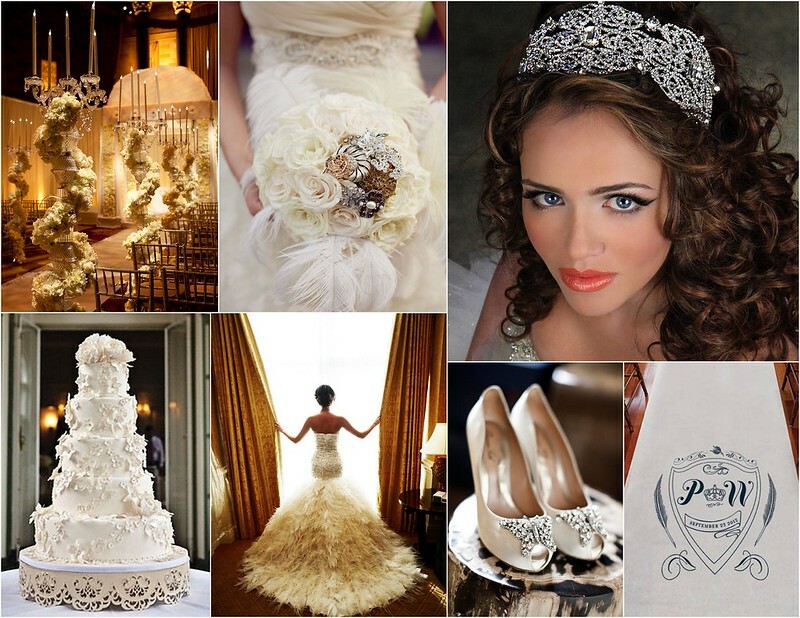 To find accessories to accent your modern-day princess style, visit us at Bridal Styles Boutique! This entry was posted on Monday, April 15th, 2013 at 9:40 am	and is filed under Inspiration. You can follow any responses to this entry through the RSS 2.0 feed. You can skip to the end and leave a response. Pinging is currently not allowed.